A block in Drupal will not change its content by itself. Perhaps you would like a block to refresh automatically: so that visitors of your Drupal website will get to see for example every 15 seconds a new article, or an urgent message coming through without people having to refresh their page. Automatically via a timer (f.e. every 15 seconds). Manually with the aid of a ‘refresh link’. Even when you have enabled Drupal’s block cache this module can make sure you will get to see new content. If you look at a standard Drupal form to add, for example, a new page, it looks a bit messy. There is a lot of information on the screen, which is redundant for content managers. This commonly used module cleans up that junk. It validates new pages or nodes you are creating. It can generate a report of all your pages. A standard 404 page (‘page not found') gives rather poor information to your visitors. This popular module will change that: it does not show a static page, but will search into your Drupal system and will show your visitors results of pages they might have been looking for. This feature will also have a positive impact on the SEO of your Drupal system. There are more advanced options, install the module and see which ones are of interest to you. Let’s assume you want to place a notification at a given time within a block in your Drupal site. For example, an offer, notification or maintenance message. Then this module can come in handy: it can automatically switch a block between a specific date and time on and off for you. It is preferred to announce a scheduled maintenance on a website. So users know that the site - or part of it – is temporarily unavailable. Within the Drupal core functionality it is possible to enable the ‘maintenance module’ for your website, but it is only possible to turn it off or on. You can set a message with the announcement. Specify how long up front this message needs to be visible. Specify when Drupal should actually go into the maintenance mode. A better and more useful way to enable your content managers to make a selection. Very popular since the rise of responsive Drupal websites: the ‘back to top’ button. Convenient for visitors with a mobile or tablet. Maybe you encountered this problem before: a user tries to log in, but forgot his/her password. After several failed attempts Drupal blocks the user for some time. And that block cannot be made undone by an admin in the Drupal backend; only directly via the database. An admin screen to unblock blocked users. Log IP addresses of spammers and block them. Create a white list of IP addresses; only those IP’s can from now on send (login) forms. Drupal’s cache_form table can quickly become quite large and clog the system, but with a ‘clear all caches’ Drupal is throwing away everything that can cause performance issues. This module is solving that: it will only clear small bundles (chunks) of this cache table. Easily manageable chunks for Drupal which will avoid performance issues. It only works in combination with database cache tables, not when you are using for example external caches likes Memcache of Filecache. By default Drupal indexes only content from nodes. If you are also working with attachments in Drupal I can imagine that you also want to index the contents of those files, so that they are included when visitors are performing searches in your Drupal site. This module is helping with that, it is an add-on for the Search API module and requires the Apache Tika Library. It also runs on Apache Solr. Solr is preferred otherwise your database can quickly become too large, which results in time consuming searches and visitors dropping out. An add-on for the Navbar module. The Navbar is a common used module for Drupal 7 providing easy and responsive backend navigation. It is similar to the default navigation bar in Drupal 8. This Navbar Awesome module gives the Navbar a more ‘clean’ and modern look. Do you want to make sure that all terms (keywords/tags) entered in one Drupal vocabulary are unique? After installing this module Drupal will check if that is the case. When you enter a term that is not unique, then an error will be shown. Other status messages, which can also be seen in the ‘Drupal Status report’. An additional security for your Drupal backend. With this module you can change the default backend paths such as /admin/... and /user/... into something else. So spambots, hackbots and hackers do not know which URL to use. After a user logs in, you might want to refer him/her to a particular path, such as his/her personal dashboard. This small, popular module allows you to easily set this up. When you are managing a high performance Drupal site, then chances are that you have implemented the Drupal Memcache module. This module is only an integration and gives statistics per page about the Memcache use, but does not provide any other administrative tasks herein. What caches are stored where (Memcache or database). ‘User sessions’ and ‘locks’ can also be stored in the memory. Separate empty caches / Memcache bins. Once you create a user within Drupal you can send a one-time login link; which is by default valid for 24 hours. This period cannot be set automatically, after installing this module it is. We recently used it with an implementation of Drupal social intranet OpenLucius, in which we first imported users and then sent a login link simultaneously via the Mass Password Reset module. For better protection of the data of your users, it is recommended that they periodically change their passwords. This is not forced by default in Drupal; this module can take care of this. When you are developing on your localhost, then usually you do not have all images from a live environment stored on your local computer. This is resulting in lots of broken images and delays in page loads. This module makes sure you get to see dummy images so that it is not needed to constantly sync all images from live and yet it is possible to test them locally. Another solution to the same problem described above: when you have not stored all files and images locally. When you install this module and it finds an image that is locally not found, then it copies the image from live to local. It only does this for the pages you visit locally so you need minimal disk space; especially handy when dealing with a large site with many files/images. That's all folks. 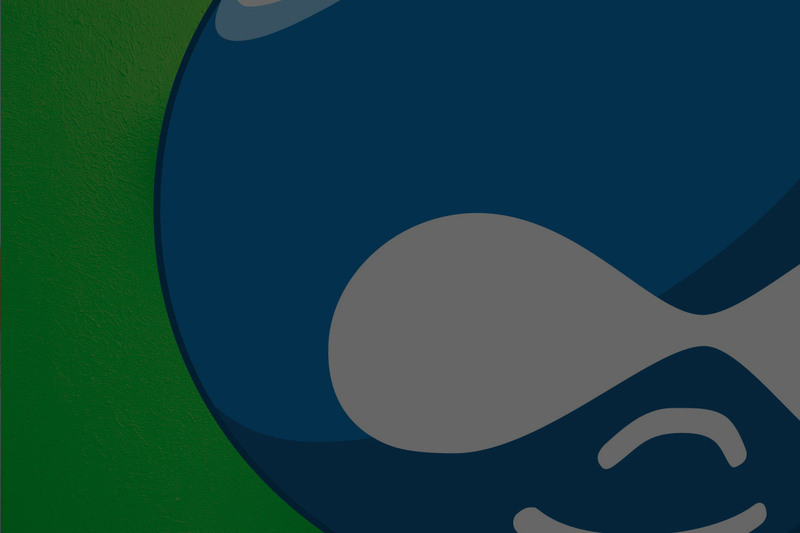 Next month again a new 'cool Drupal modules' blog. Stay tuned!